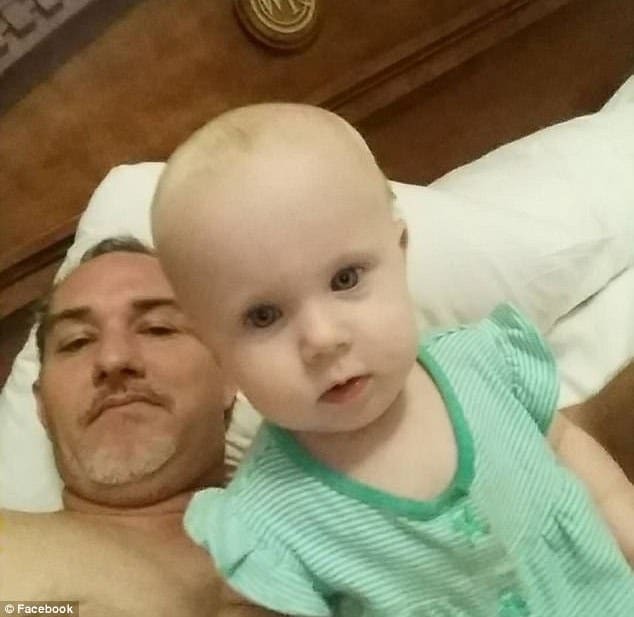 Pictured, Lady Lake, Florida father, Jeremy Main and the toddler daughter he drowned, Mackenzie Main. 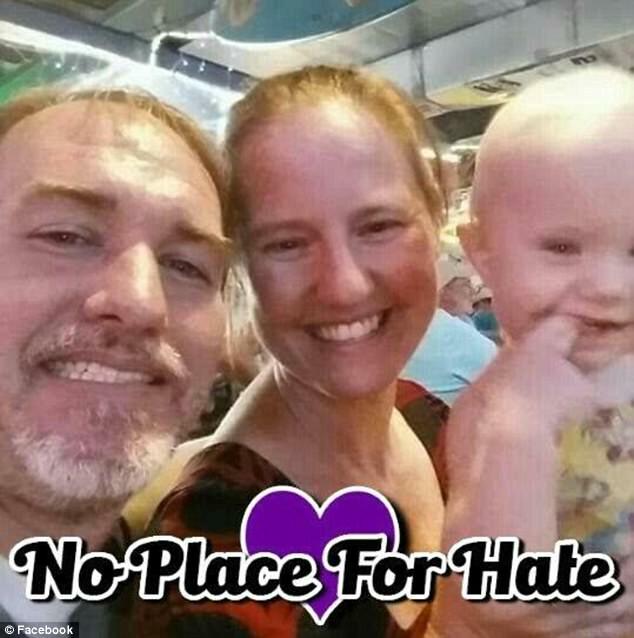 Jeremy Main Lady Lake, Florida father drowns 18 month old daughter after wife files divorce. Turns himself into police after admitting trying to kill himself. 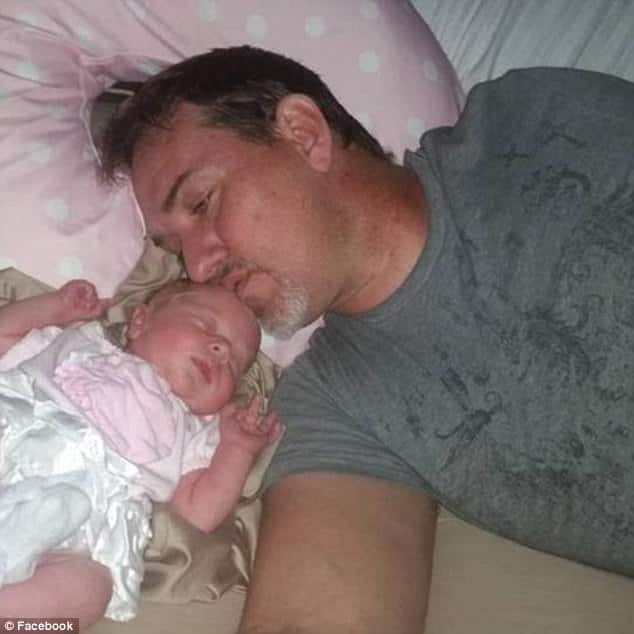 Jeremy Main a 38 year old Lady Lake, Florida man has turned himself into police after having earlier called his estranged wife to announce he had drowned their 18 month old baby daughter. Upon receiving the call, Holly Main, who was at work called police, with Lake County deputies rushing to the couple’s home Monday morning where they found the toddler dead in the bathtub. The stay at home father was no where to be seen at the house. A half hour later the husband turned himself in at Sumter County Sheriff’s Office substation, where he was questioned by detectives. At one point, Main said he told his wife on the phone that he had killed their baby daughter, MaKenzie Main, because she was divorcing him reported wesh. Main also told detectives he had tried but ‘failed to kill himself’ and that he has ‘ruined his life’. Detectives noted the man having self inflicted wounds along his wrist. The father was eventually charged with first-degree murder. 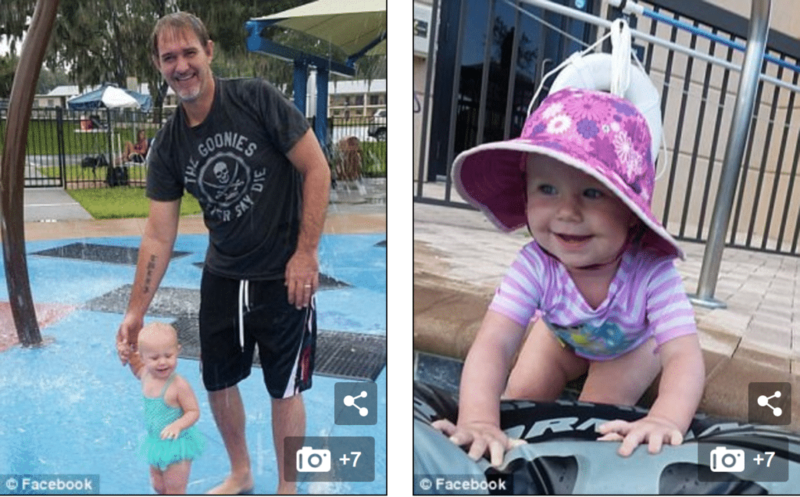 On Sunday, Jeremy Main updated his Facebook page’s cover photo to one of him holding Makenzie wet, smiling and in a bathing suit. Other photos on his Facebook page show him donning a cat mascot head as Makenzie tugs at it, kissing her on the head as they lie in bed and getting wet together at a splash park. By Tuesday, Holly Main’s Facebook account was changed to reflect her maiden name, Farrington reported the orlandosentinel. Officials say two teenagers also live at the home, but they were at school when the girl died. Main was being held without bail set and had made his first court appearance Tuesday morning where he was ordered to make no contact what so ever with his estranged wife. Main’s next court appearance is scheduled for November 6. First-degree murder carries a possible death sentence. Prosecutors will determine whether to seek the death penalty. 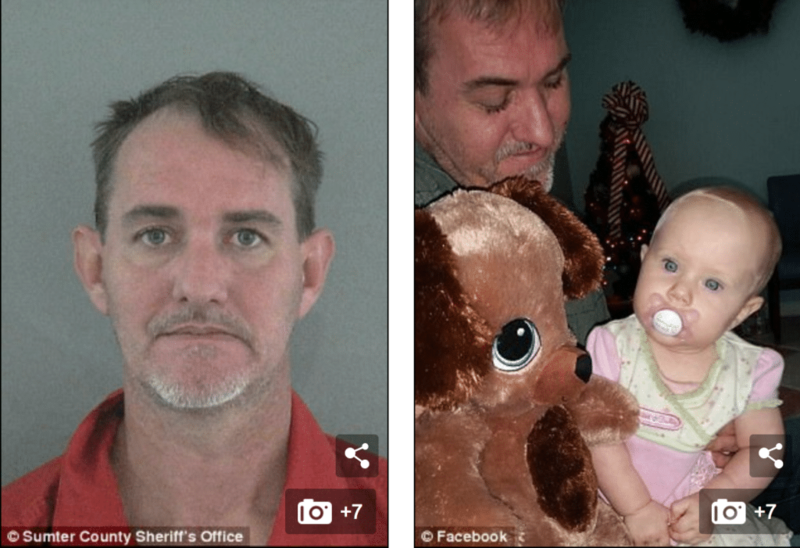 Pictured Lady Lake man, Jeremy Main- police bookings (left)..
Pictured drowned Lady Lake, Florida toddler, Makenzie Main. Lady Lake, Florida couple, Jeremy and Holly Main and their toddler daughter, MaKenzie.